Leveraging on our extensive market knowledge, we are providing a high quality range of Honey Hair Conditioner. our conditioners is pure herbals. Size: 100, ML, 200 ML, 400 ML. 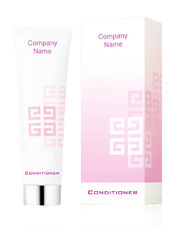 Hair Conditioner imparts a stunning shine to dull hair, making hair smooth & easily manageable. Helps de-tangle your hair and protects it from the harmful UV rays. With its strengthening qualities, it gives your hair that extra bounce & volume you’ve always wanted. Key Ingredients : Aloevera juice, Vitamin E.
Concept : A reconstructive conditioner that fortifies and nourishes tired, dull hair specially designed with a unique moisturizing complex to quickly penetrate the hair, so it better resists damage. Our hair conditioners is the part of cosmetic products.that is made from natural herbs, our herbal hair conditioners are used for dry , damaged and for brittle hair.our hair conditioners provide moisture to the hair shaft condition and nourishes the hair.our conditioners is very helpful for bringing brightness in hair .we use natural herbs like neem, aloe vera, basil, lemon , heena etc. Herbal hair dye with conditioner. Packet contains three sets of Aloe Vera gel and herbal powder. Ingredients: Aloe Vera, Henna, Tulasi, Amla, Neem extract.